Unit serves two compartments mounted in partitions. 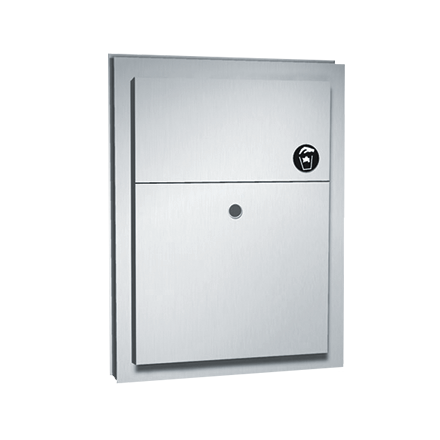 Receptacle removable from one side for servicing and locks to back of cabinet by means of stainless steel clips. Self-closing doors on each side are mounted to cabinet with heavy-duty full length piano hinge. Holds 1.5 gal (5.7 L) of dry/solids waste.